As you might recall, we recently spent some time behind the wheel of a camouflaged Mazda CX-5 prototype in Iceland. And while we walked away impressed with our short stint behind the wheel, the fact that the car was covered in cheetah paper meant we couldn't quite see the final design – until now. 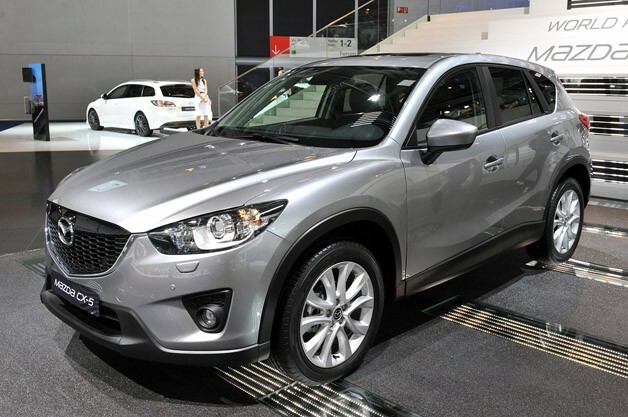 It's a good-looking crossover, this CX-5, keeping true to Mazda's original Minagi concept that first bowed at the Geneva Motor Show earlier this year. What's more, the CX-5 will be a much-welcomed replacement for the Ford-supplied Tribute crossover – a vehicle that never really set the sales charts on fire. When we drove the CX-5, we were very impressed with the SkyActiv 2.0-liter gasoline engine, though we're still crossing our fingers that Mazda will offer the 2.2-liter diesel powerplant here in the United States. Nevertheless, we give the CX-5 two thumbs up, and you can see the final road-ready version in our attached high-res image gallery.